Contact CHRISTINE WILCZEK and JASON BACZA, Brokers and Elmhurst Experts, at 630-755-0600 for more information on this beautiful home. Sleek and sophisticated residence in prime location! Spectacular,ultra custom masterpiece feels and shows like brand new construction. HGTV inspired decor evidenced throughout. Fabulous kitchen with ample cabinet and counter space, large island, granite countertops and stainless steel appliances. Formal dining room. Gleaming hardwood flooring. Professionally painted in today's most sought after hues. Luxurious master suite with private glamour bath and his/hers walk ins. Spacious bedrooms with large closets. Finished lower level with fireplace offers space for storage, gaming, recreation and more! Brand new garage. Picturesque grounds with expansive paver patio. Minutes from shopping, dining, Metra, hospital, parks, schools and more! Security system. Two furnaces. Two AC. Two H20 tanks. Central vacuum. 2nd floor laundry. Audio/speaker system with smart phone/tablet controls. The list of upgrades goes on and on! Impeccably maintained. Must see home! Minutes to schools parks, shopping, Metra! 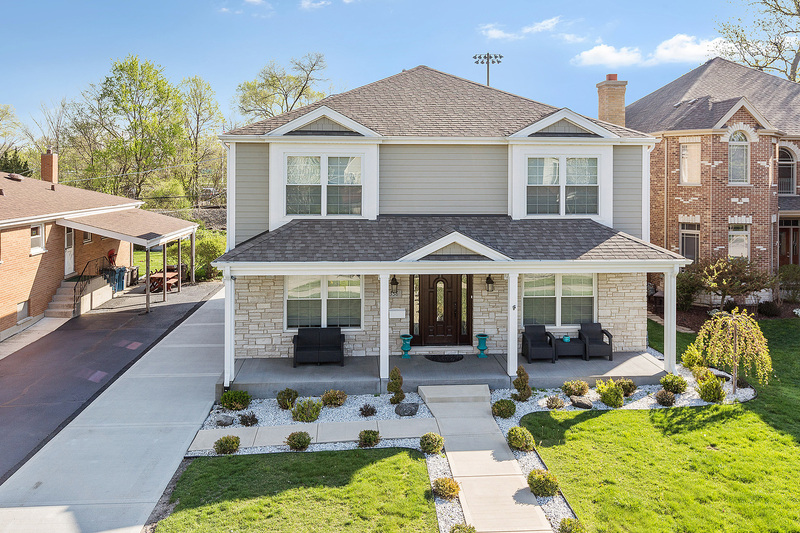 Stunning, HGTV inspired, custom two-story completely rebuilt from ground up!